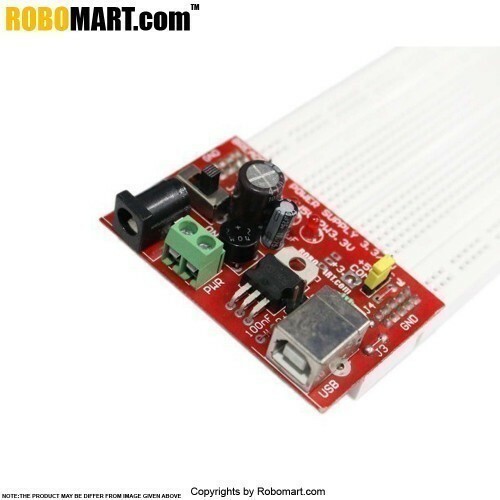 It is compatible with external DC/AC (5V to 12V) /USB source which will be converted to 3.3V and 5V and can be easily placed on a Bread Board. 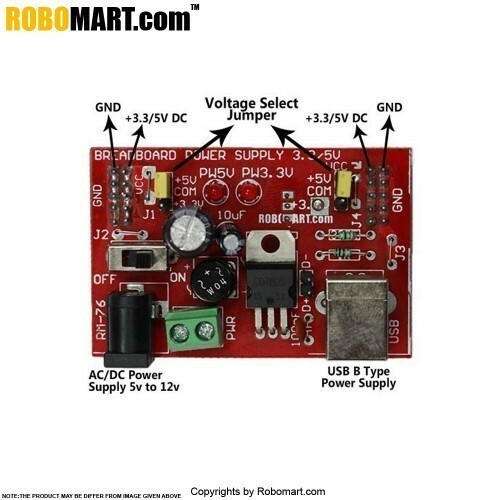 You can select Voltage either 3.3V or 5V with the help of jumper. 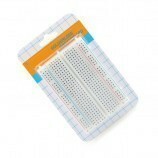 Thereafter could be used for circuits which use these voltage levels. 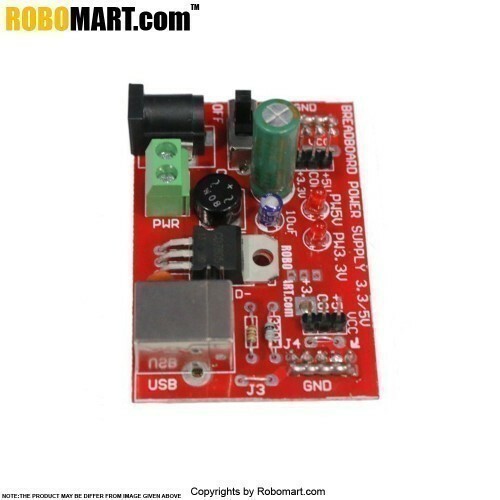 Output voltages could be taken via male burg stick. Each voltage level comes with a pair of terminals (Vcc and Gnd). 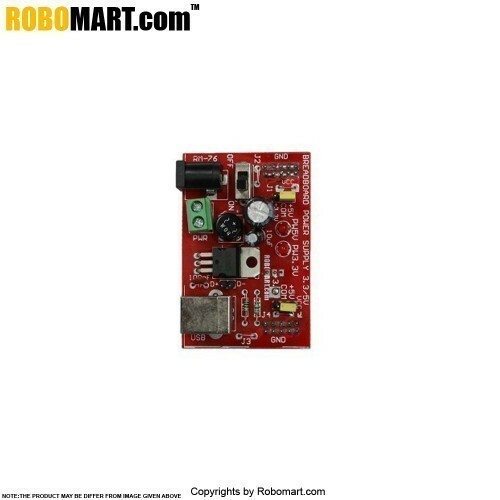 Voltage level can be selected with the help of jumper. 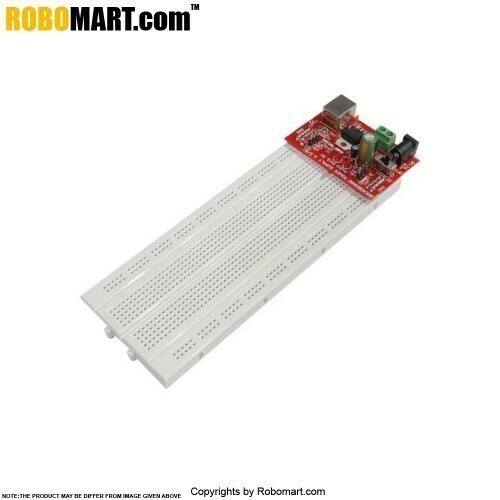 A separate led indicators are used for both 5V and 3.3V. It is used to supply power to bread board. 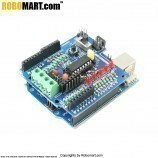 It is used in 8051/AVR/ARM/PIC based projects. 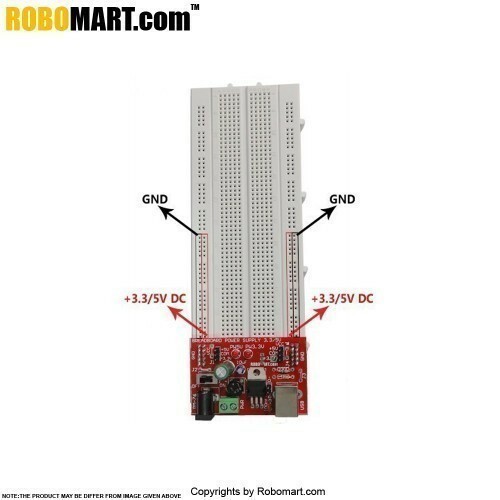 Also Searched as : Breadboard power supply module.